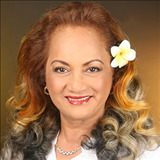 Island Home Life Helps You Learn More About Manoa, Hawaii Real Estate. Choices of condominium styles (walk-up, low rise, high rise) abound and there is a wide price range. 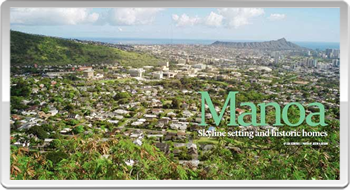 The hillside neighborhoods of Makiki Heights and Tantalus have single-family homes in the higher price range. Quite a few public and private schools, two hospitals and churches are found in the area. Manoa extends deep into the lush valley from which emerges another desirable neighborhood, Woodlawn. As its name implies, this section is woodsy and the homes are often set amidst green lawns. This area is home to several restaurants, grocers and neighborhood shopping centers. The University of Hawaii is in the lower section of Manoa, and too gets frequent Manoa shower mists that come, even under sunny skies.